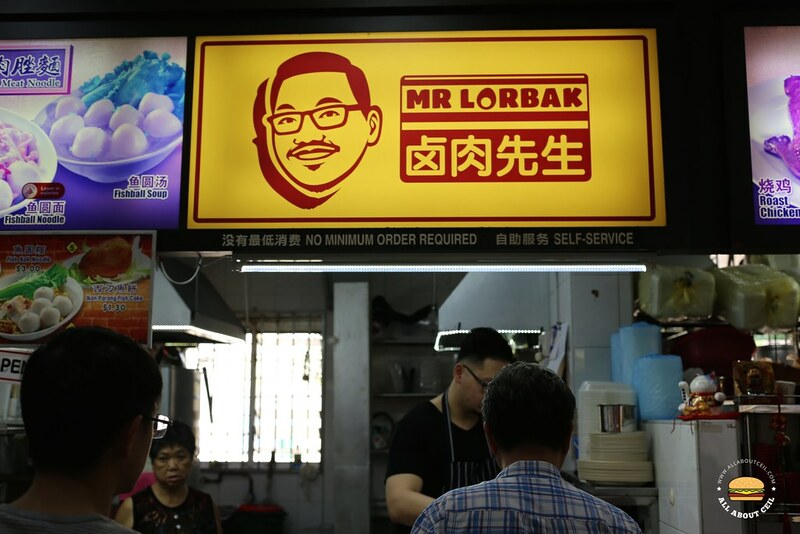 William Liou, 30, is also known as Mr Lorbak, the owner of this unassuming hawker stall, located in a coffee shop at Ubi. It used to be in Bedok North Street 3 but forced to relocate when the owner of that coffee shop wanted to close it. He has a Diploma from SHATEC with a background in culinary arts and he was a former General Manager of a restaurant group prior to starting this stall. 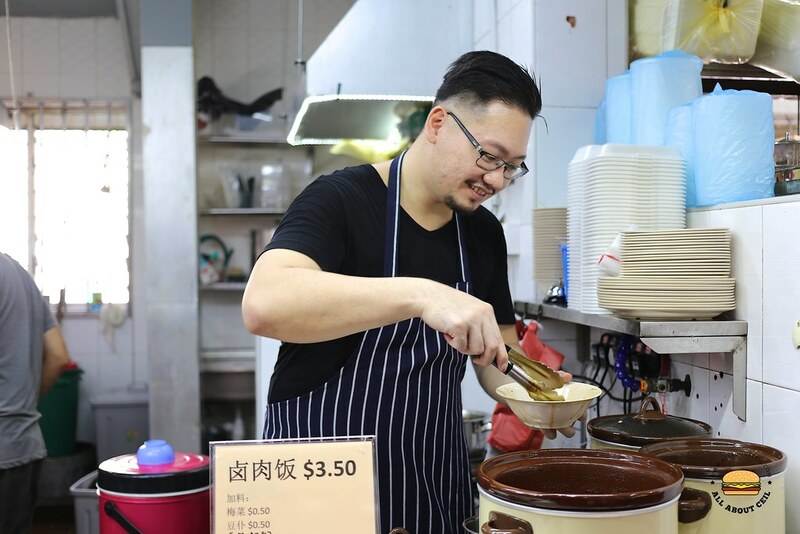 He used to manage the now-defunct Kite, a restaurant in Craig Road and also worked in Princess Terrace Cafe at Copthorne King as well as in Swissotel The Stamford. I asked, "Have you ever regretted in making such a decision?" He replied, "Not at all. I am happy in doing what I am doing now." It has always been his childhood dream to run a hawker stall. His mother used to run a stall selling rojak in Tampines and she is always the inspiration that prompted him to start a hawker stall. There is only one dish on the menu, which is the Braised Pork Belly Rice ($3.50) braised for a relatively long period of 14 hours using about 20 types of herbs and spices based on a recipe that has handed down from his mother. 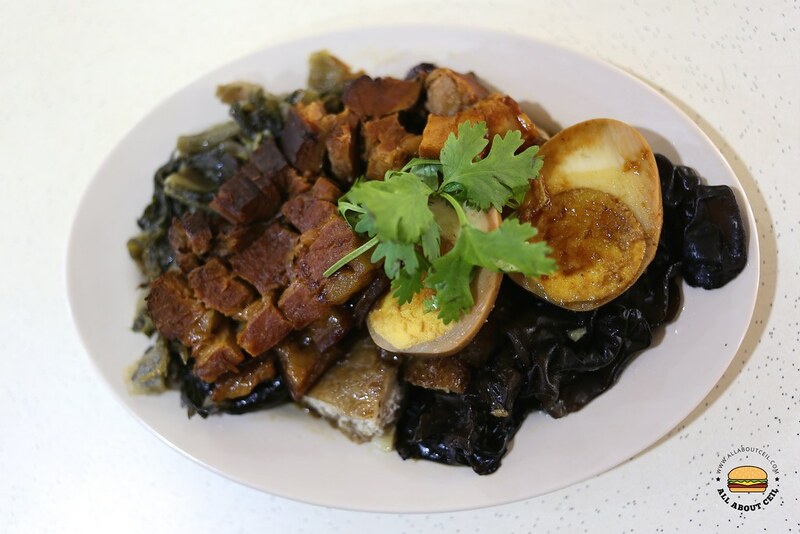 Each bowl comprises of lor bak and a hard-boiled egg with pieces of black cloud ear fungus and there is the option to add braised mushroom, preserved vegetable and tau pok at $0.50 each. I ordered a portion with braised mushroom, preserved vegetable and tau pok added for $5. 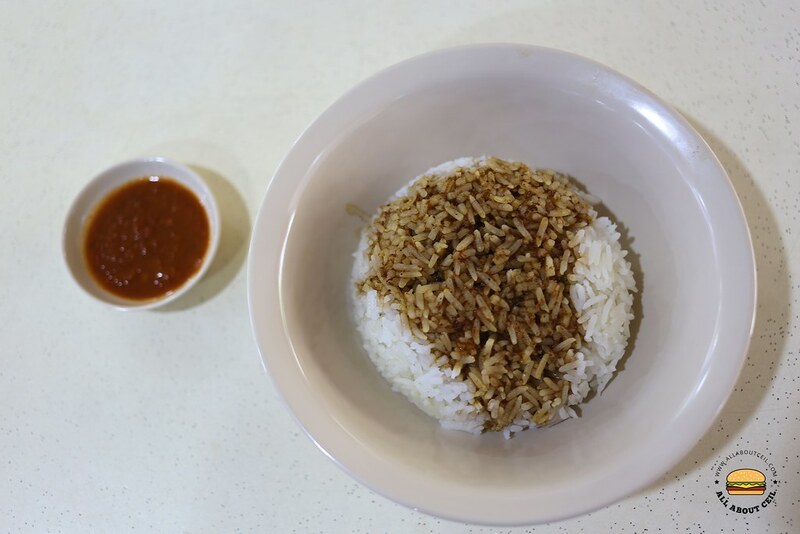 The flavour of lor bak is rich and wonderfully simple, its texture is meltingly tender and this is what will get you hooked on. It is cheap, filling and delicious. It is every bit as good as expected, perhaps better. The chilli reminded me of Kway Chap as it tasted quite alike, just like those that is usually served along with it. In fact, the dish itself has certain resemblances but instead of serving it with the rice noodles, it came with rice. The braised egg, preserved vegetables, tau pork and black fungus were nice accompaniments. It is pure, pull-no-punches comfort food and it is just the kind of thing that you want to eat, this keeps people coming back. And not forgetting, the service is absolutely welcoming.